Buying a new car can be fun and exciting, or it can be stressful beyond belief—and the dealership you choose can make all the difference. 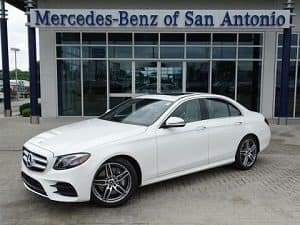 If you are in search of the right Mercedes-Benz dealership in San Antonio, TX, then here are some tips to help you choose the perfect dealership and get the right car for you. If you aren’t sure where to start and the possibilities seem overwhelming, then it’s time to seek out the best references to help guide your next steps. Reviews and peer recommendations can help highlight for you the locations that really stand out as a cut above the rest and have cultivated a solid reputation with the individuals that they have worked with previously. Your time is precious to you, and it isn’t always easy to find the time to go traipsing around town to check out every car lot for the right preowned Mercedes-Benz. Finding a dealership that fits into your busy schedule and that can fully accommodate you in the time that you have available can make all the difference in how well you can use your time and find the vehicle that fits your needs. Consider when they have representatives available, and contact their dealership if you are unsure to get an understanding of when and how they can help you. Options are important when shopping for a new vehicle, so it’s important to find a Mercedes-Benz dealership that has a wide variety for you to consider. If their selection is limited, that may mean that you aren’t able to shop around to find the absolute best fit for your needs. Choose a dealership that provides you enough varied options, and can effectively provide what you really need in the moment, without sending you across town elsewhere to consider other options and prices. The right results come that much easier whenever you experience exceptional customer service throughout the process. Comfortable, accommodating, knowledgeable, and laid-back sales representatives can help you feel right at home in the midst of a whirlwind process. They can ensure that you’re getting the right vehicle at the right price, all while making sure you feel at ease. Good customer service in a car salesman also means being accommodating and understanding, not just trying to snag a win through your purchase. 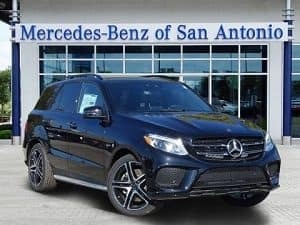 You’ll feel the difference at the right Mercedes-Benz dealership in San Antonio, TX, and it will enable you to feel comfortable and confident in the decision that you land on.